If you’re caught using a handheld mobile phone on the road it’s an automatic three penalty points and a £60 fine – or much worse if the case goes to court. Research even shows that using a mobile when driving means you’re four times as likely to crash – but this can all be avoided. This in-car hands-free speakerphone features a unique built-in AMS motion detector, so as soon as you get into the car, the unit switches on and detects your phone – optimising battery life up to an amazing two years between charges (USB cable supplied.) Simply clip this hands-free speakerphone to your car’s sun visor allowing you to make and take calls legally and safely. Ideal for families, as up to 8 phones can be paired with it (and two at once), answering calls is very simple: just press the big green ‘answer call’ button and take your call in crystal clarity with wind noise and echo eliminated. There are even big button volume controls on either side so you can keep your eyes on the road at all times. Making calls is just as simple: simply dial the number on the phone before driving, and the hands-free kit switches on and takes over. It’s the most user-friendly hands-free speakerphone kit we’ve ever seen and will help keep you on the road. Sleeping bags are an outdoor essential (and sometimes an indoor one too) whether you’re camping at a festival or just in the garden for the night. Trouble is once you’re in you’re in. Hopping about like a bipedal slug is neither the most attractive nor practical to answer the call of nature in the middle of the night – which is where the Cocoonz come into its own. Imagine the comfort and warmth of your sleeping bag but with the advantage of being able to move around as normal! Thanks to the sleeves and legs that the Cocoon has you’ll be able to do pretty much anything you’d normally be able to do in a nice warm sleeping bag. They complement the kids’ version perfectly and have all the same main features. That means elastic around the lower legs to stop them bunching up and more importantly you making friends with the floor of the nearest woodland clearing extremely painfully as well as ventilation zips dotted about the place to keep you cool if need be. There’s even some canvas material on the soles of the feet to enable you to tramp about to your heart’s content no matter what might be underfoot. Cocoonz are a simple great idea done superbly well and will allow you all the comfort a normal sleeping bag will but with the convenience of full movement. If you’re taking it camping or running round the Glastonbury site trying to catch as much as you can before you have to sail back to your tent it will give you as much freedom as you need. They’re available in a variety of colours and sizes so there’s a right one for you no matter what your chosen activity might be. When you’re inside one of these Cocoonz you’re ready for the Great Outdoors. Sleeping bags that you can walk around in. Cocoonz have sleeves and legs so that you can move around while you keep warm. Perfect for camping festivals sleep-overs (if you’re that way inclined). Kangaroo Pouch. Zip pockets. Zip ventilation if you need to cool down. Elasticated hood and ankles to prevent bunching. Filled with polyester taffeta/polyester diamond. Available in yellow blue pink and black. Temperature suitability:- Comfortable: 7ºC/45ºF. Limit: 2ºC/36ºF. Extreme: -13ºC/9ºF. Weight:- Medium: 1.79 kg/3.35 lbs. Large: 1.97 kg/4.35 lbs. Size:- Medium: suitable for heights 5ft 7 – 5ft 9. Large: suitable for heights 5ft 11 – 6ft 3 (chest measurement: 5 inches). While in Paris on business Harvard symbologist Robert Langdon receives an urgent late-night phone call. The elderly curator of the Louvre has been murdered inside the museum a baffling cipher found near the body. As Langdon and gifted French cryptologist Sophie Neveu sort through the bizarre riddle they are stunned to discover a trail of clues hidden in the works of Da Vinci – clues visible for all to see and yet ingeniously disguised by the painter. ; The stakes are raised when Langdon uncovers a startling link: the late curator was involved in the Priory of Sion – an actual secret society whose members included Sir Isaac Newton Botticelli Victor Hugo and Da Vinci among others. Langdon suspects they are on the hunt for a breathtaking historical secret one that has proven through the centuries to be as enlightening as it is dangerous. In a frantic race through Paris and beyond Langdon and Neveu find themselves matching wits with a faceless powerbroker who appears to anticipate their every move. Unless they can decipher the labyrinthine puzzle the Priory’s secret – and an explosive ancient truth -will be lost forever. Trouble getting up in the morning? When the alarm sounds, Clocky scampers off around your room until you switch him off again. This is one wake up call you won’t be able to miss! Always forget to charge your phone at home and on the road all the time? 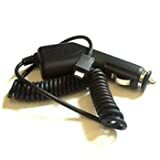 With this genuine Samsung car charger, you have the freedom to plug it in to your cigarette lighter and let your mobile charge without the worry of never missing that all important call. It contains a LED inicator in which, when you plug it into the lighter, inicates to show that it is in working order. Simply plug in and charge, works in conjunction with your phones battery to automatically stop charging once the battery is full. Samsung quick charging technology allows you to use your mobile phone while it is charging. 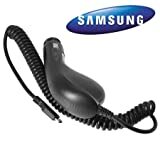 The Samsung vehicle power adapter features a durable coil cord and advanced circuitry. 100% Samsung made Or Money Back Guarantee. CE Certified & Have I.C controlled charging. Charge on move with all cars, vans and trucks. Works with all Samsung mobile having micro USB charger port. Make sure you’re always ready to go and won’t miss that all important call.